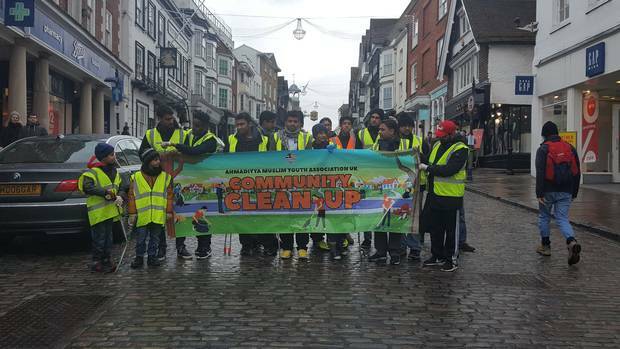 Hundreds of young Ahmadiyya Muslims across the UK will kick off the new year with a “nationwide street-cleaning day”. Members of the Ahmadiyya Muslim Youth Association (AMYA) will spend New Year’s Day sweeping streets in various cities to help tackle the almost “£1 billion public cost” of littering. 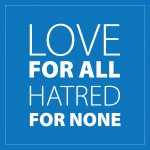 The youth organisation, which will tidy up parts of London, Glasgow, Cardiff, Birmingham, Manchester and Newcastle, says it is part of “our religious and civic duty”, and is calling on communities across the country to join in. Farhad Ahmad, a national spokesman for AMYA, said: “Littering costs the UK an estimated £1 billion a year. “While the Government and local authorities are doing a great deal to address this issue, we feel strongly that it is our religious and civic duty to also act. Some 28 locations took part in last year’s introductory event, but Mr Ahmad said he expects as many as 40 places around Britain to participate on Monday, incorporating the charity’s 124 chapters. AMYA members will begin the day with prayers for the nation, before picking up hundreds of bin bags, brushes and high-visibility jackets provided by local councils. The campaign is part of a five-year-old “Mercy for Mankind” charitable initiative to plant at least 10,000 trees and organise more than 5,000 cleaning sessions across the UK. The organisation also set its sights on combating loneliness during the Christmas period by visiting thousands of people in care homes and on the streets, in a bid to “make Britain a better place for all”. Cleaning up Britain’s litter costs the taxpayer almost £800 million each year, the Government said in August.